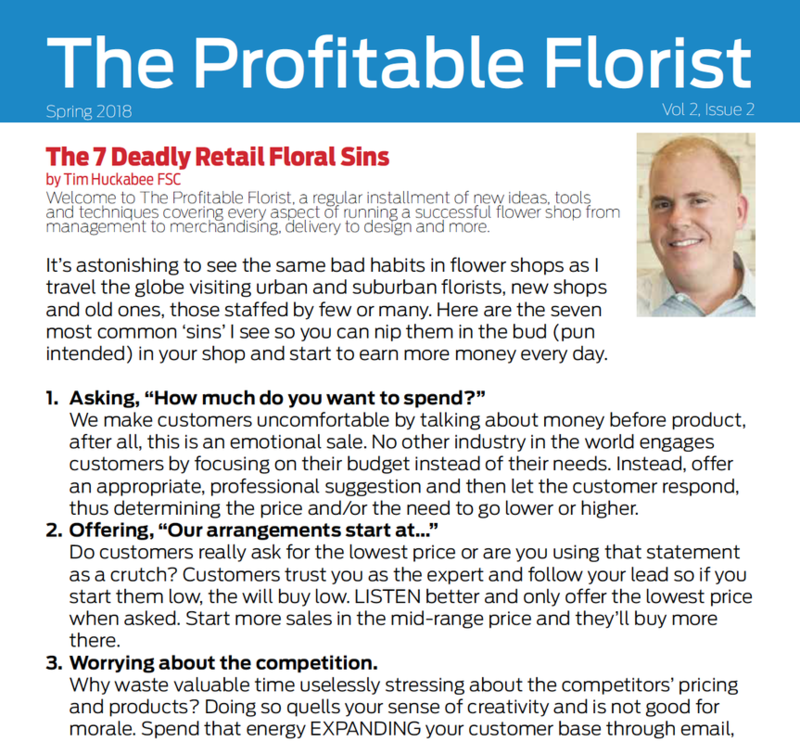 ​Floral Management, Florists’ Review, Canadian Florist and Interflora’s Mercury. 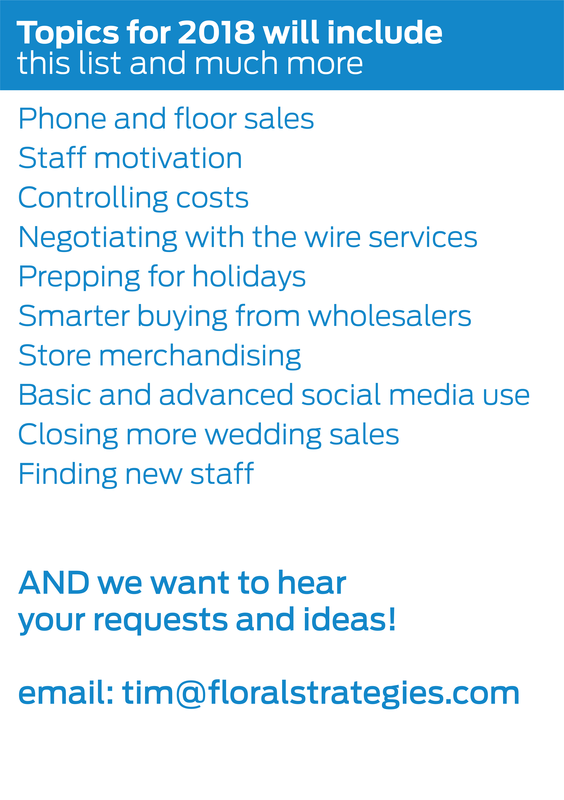 I'm glad to read you are encouraging florists to compare wire services and to contact them. The wire services were pretty good to us, as long as I would take the time to read through the statements and go line by line for the disputed charges, and they would refund us on the next month's statement. Ultimately the amount of profit made with them was not enough to justify hiring another designer. So we have recently downsized to be more profitable. We were always short staffed and now we can handle most of our orders easily. ​Thank you again for your company and for sharing your knowledge with florists around the world.